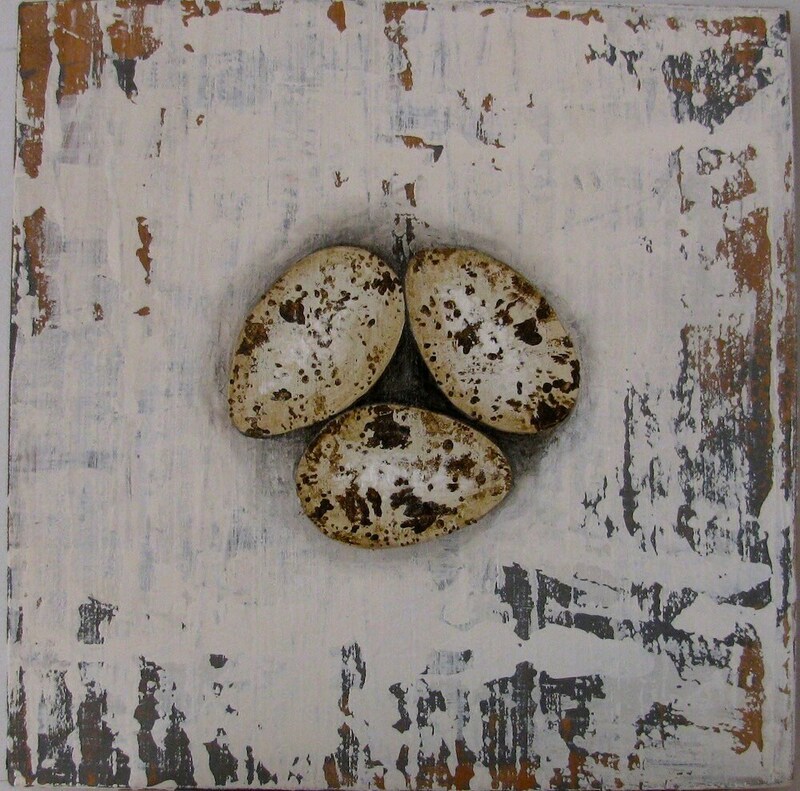 Welcome to our web site, and we hope you enjoy the original acrylic paintings on re-purposed rustic solid wood. This group is inspired by my " Walk in the Woods " and " River Walk " series, Eggs, is MADE to ORDER. Our art work is ready to hang and signed and dated by the artist Gigi Begin. We welcome commission work, and can accommodate most sizes and shape, including out door signs, please contact us for more information about custom work. ( 2-4 week delivery on most custom work ).